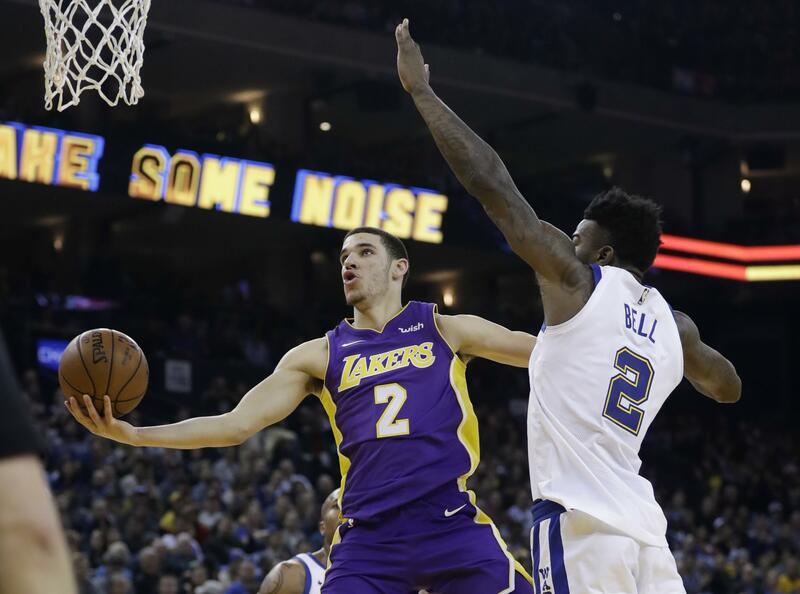 Sun., Dec. 24, 2017, 5:24 p.m.
EL SEGUNDO, Calif. – Lonzo Ball has a sprained left shoulder and will sit out of the Lakers’ game against Minnesota on Christmas night. The team said Sunday an MRI revealed the sprain that Ball sustained in the second quarter against Portland on Saturday night. He played through it and finished with 10 points, eight rebounds and 11 assists. The rookie guard will be re-evaluated in a week. Ball is averaging 10.0 points, 6.9 rebounds and 7.1 assists. The Lakers are 11-20 and third in the Pacific Division. Published: Dec. 24, 2017, 5:24 p.m.